Since you all well know, I like top-down knitting. Since I’m such a fan, I gobble up books and patterns that are based on this technique. Since I love knitting a lot of Wendy’s patterns I bought her new book. While I’m not “in love” with any of the actual patterns in the book (which doesn’t mean I won’t knit some), I do love the idea of the book. She has a lot of really good information on reaizing patterns (up and down), adding sleeves and hoods where they don’t exist already, and other useful ideas for one to customize their knits. After going through the book, I have some ideas floating around and I’ve started doing some sketching and swatching. I think she makes a lot of knitting/designing principles easier for most to understand. 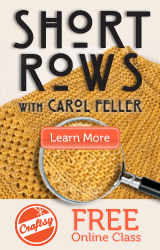 I’d recommend this book if you’re looking to get a little more from your knitting and maybe dabble into some designing.